USF Spirit Site Galleries Go Bulls! 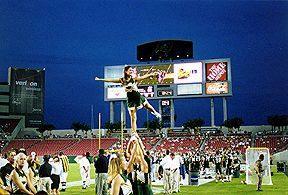 USF Cheer site: SubmitYour Photos! Thanks to the person who submitted these photos to me recently. Unfortunately I had a problem with the computer and lost your email. I'd sure appreciate if you could contact me so I can give you the proper credit. Thanks a lot. 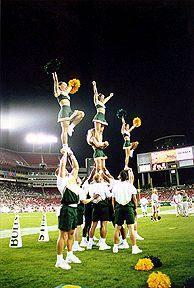 Cheerleaders from USF's glorious early years (year unknown). 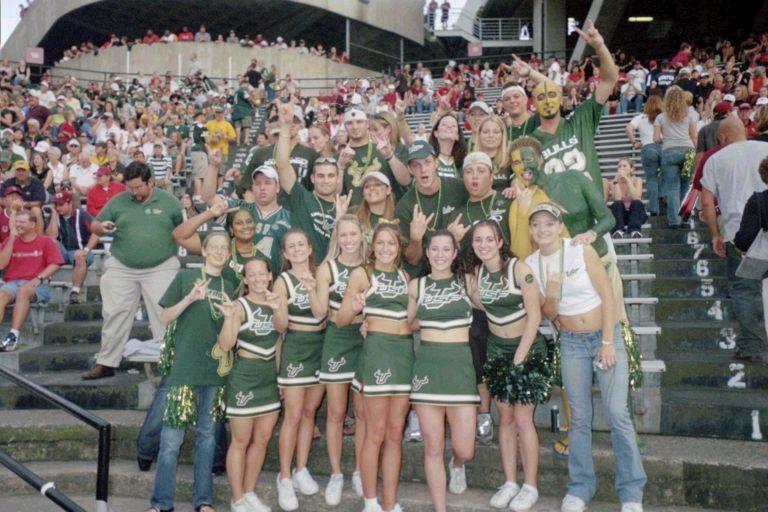 From "USFSpirit.com" in 2000. Reproduced here as a public service. We are not affiliated with the authors or owners of that website. 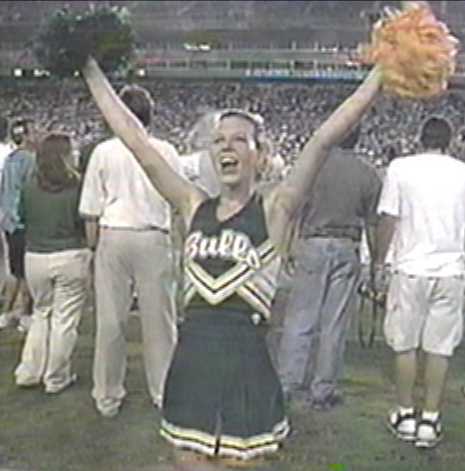 The USF cheerleading program is coached and coordinated by Wayne and Erika Meyer. 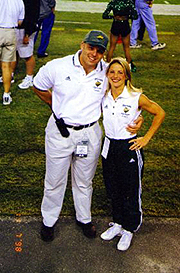 Wayne and Erika previously cheered for and competed with USF. 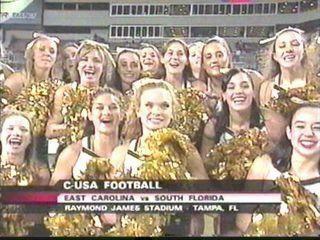 They also cheered for the University of Central Florida where they competed in the 1996 UCA college cheerleading nationals and placed 3rd in the finals. Wayne and Erika have been UCA instructors for 6 yrs. and are currently AACCA safety certified. 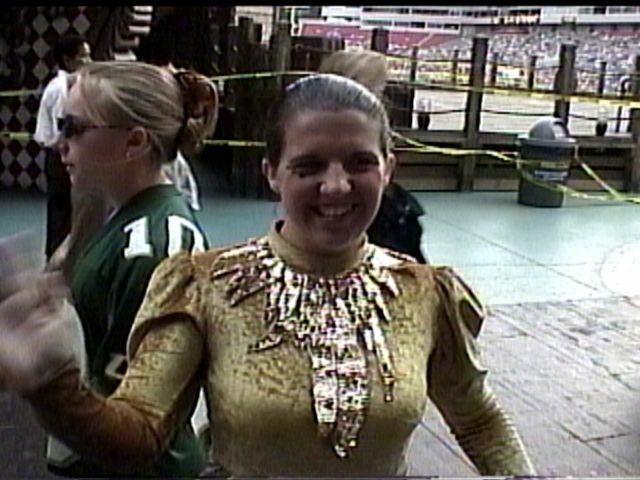 Erika also cheered for the Tampa Bay Buccaneers and was a 1998 regional champion of Fitness America�s espn2 pageant. Together, Wayne and Erika have over 15 yrs. of cheerleading experience. The University of South Florida was founded in 1956 and is now the 13th largest university in the United States and is still growing. Today the university serves more than 36,000 students and offers 87 Bachelor, 90 Master and 23 Doctoral degrees. USF also offers the only four year honors program in the state of Florida. The university�s main campus in Tampa covers 1,700 acres, housing more than 320 buildings, which exceed 6 million gross square feet in size. A new million dollar recreational facility offers students the latest in weight training, aerobics, indoor sports facilities, swimming, golf and a private Riverfront park. By the year 2004, USF will have built an additional 30 academic buildings, multi-level parking garages, new apartment-style housing and 125 acres of environmental green space. The University of South Florida �Bulls� participate in 17 Div. I sports for both men and women. 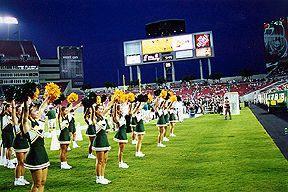 1997 was the inaugural season for USF�s first football team. 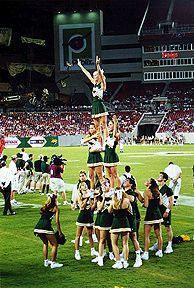 The USF atheltic department supports the varsity coed and junior varsity small coed cheerleading squads. Both squads cheer for home football games and select home volleyball games. Varsity cheers for men�s basketball and junior varsity cheers for women�s basketball. Cheerleaders travel to select away football and basketball games. 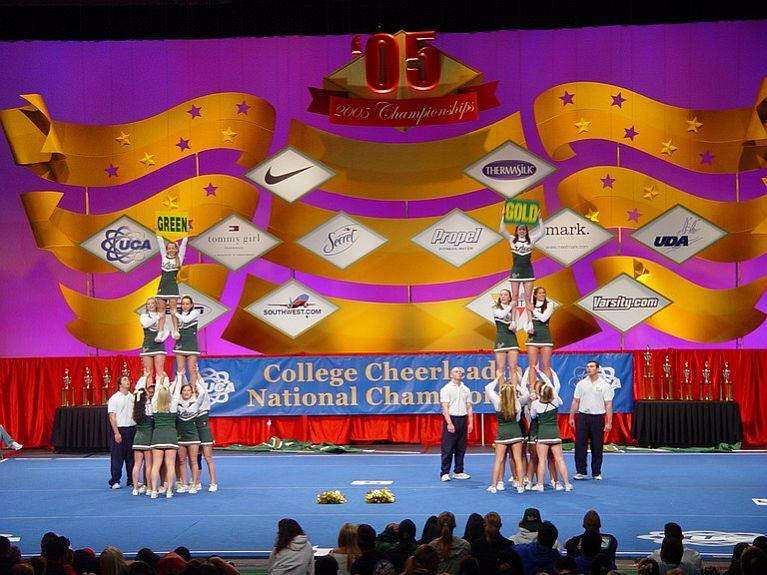 The cheerleading season is traditionally finished with the trip to the Conference USA men�s and women�s basketball tournaments. 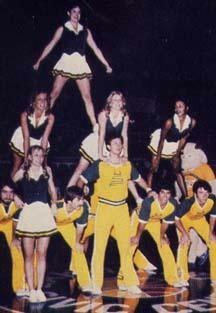 The USF cheerleaders have been competing since 1993. 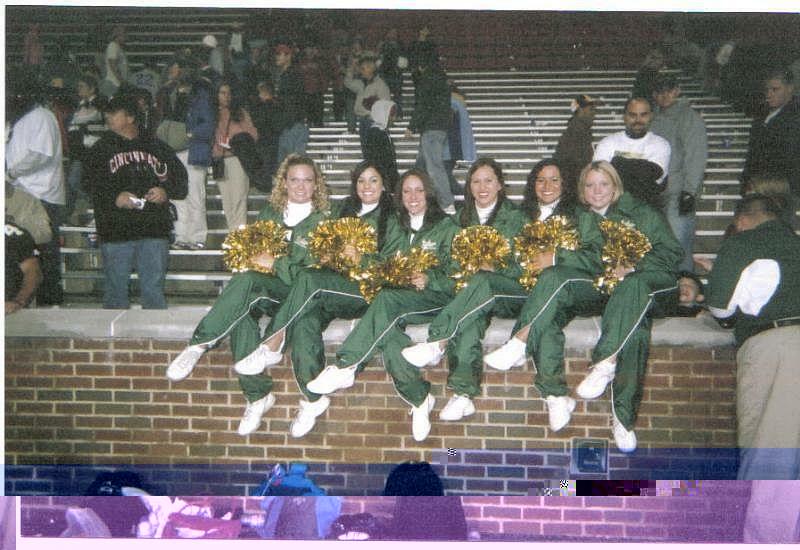 In 1994 and 1995 USF took 6th place at the Metro Conference Cheerleading Championships. 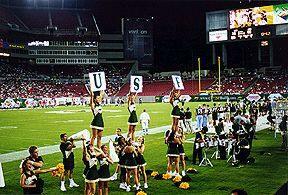 In 1996 USF began competing at the UCA College Cheerleading Nationals, Div. I. 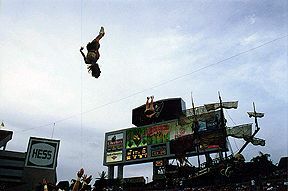 At UCA Nationals in 1996 and 1997 USF took 11th place in finals. 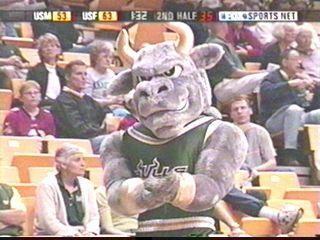 1999 marked the year of competition success for USF! USF�s varsity squad placed 4th in Div. I Coed behind Morehead State, Sam Houston and Delaware. 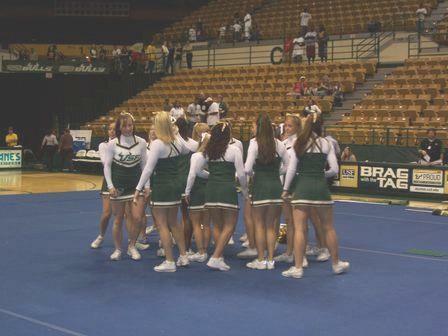 For the first year in USF�s cheerleading history a small coed squad competed and placed 2nd. 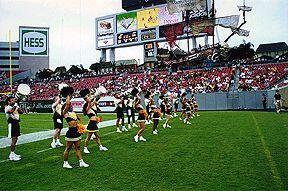 The addition of a small coed squad opens the door of opportunity to a larger group of cheerleaders. 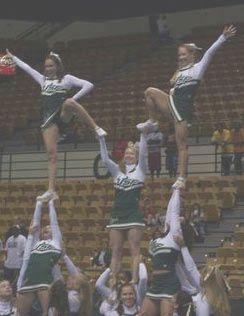 USF now has a growing need for female cheerleaders who can base and/or top stunts, pyramids and basket tosses. Where all men are free; And noble to see. Alma Mater, hail to thee. For USF we'll always be. As we onward go, And we will win the victory! May thy glory, fame, and honor SOUTH FLORIDA! 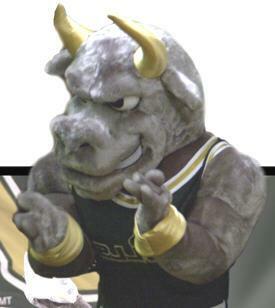 Through eternity; Go Bulls, Go! 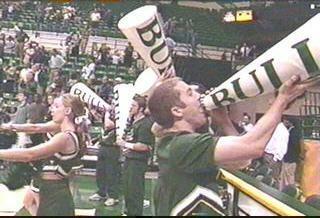 Detail from TV broadcast of Bulls games (2002-2005). Thanks fans for sending these in! 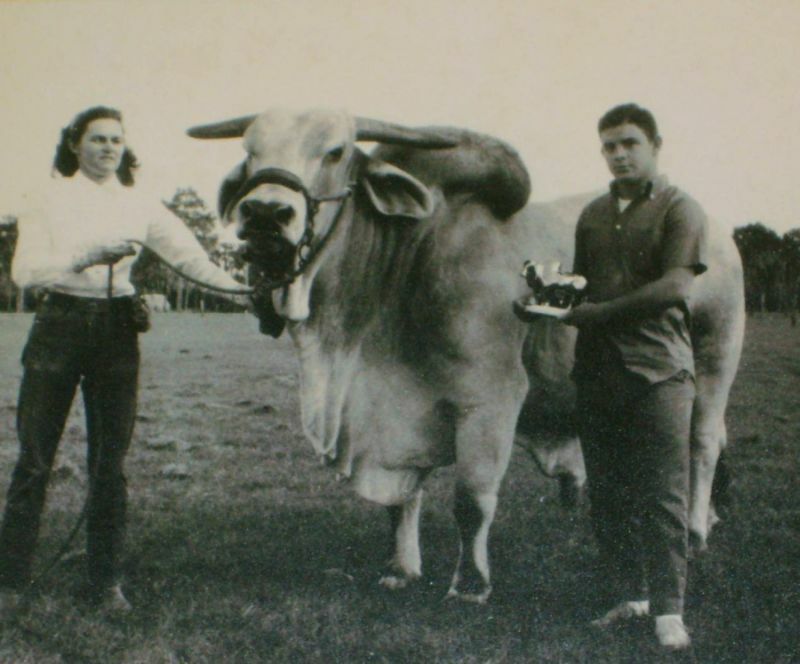 A member of the Herd of Thunder flag corp. Thank you for visiting USFspirit website. Please send in your photos and articles today! We thank you for your support! GO BULLS!